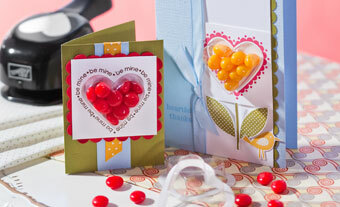 for the (heart) of stamping: Sale-a-brate! It's that happy time of year again... it's SALE-A-BRATION! 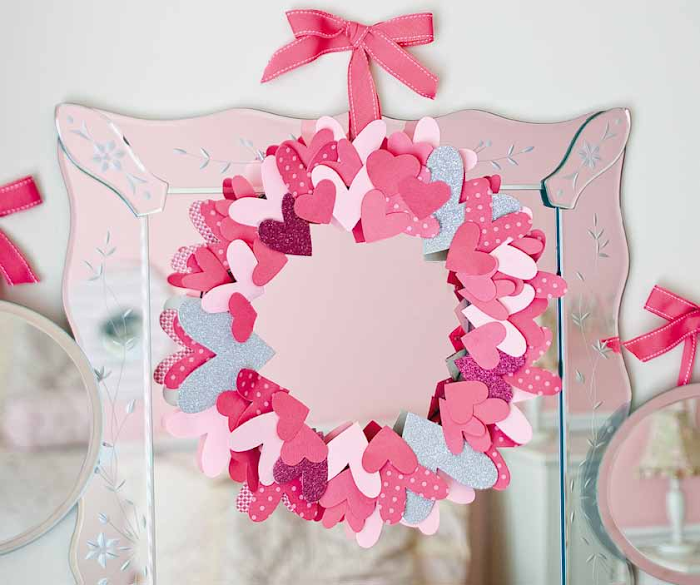 I LOVE sale-a-bration... it's the biggest promotion of the whole year! I think it has a special place in my heart because 4 years ago (was it that long ago?!) that my friend (now also a demonstator) invited me to a workshop... and from the getgo, I was completely hooked! I went home with a $100 order, worried my husband would be upset... however, he got this gleam in his eye, and said that I could continue to have a stamping budget monthly, as long as he could match it with a comic book budget! Yah for compromise! Back to Sale-a-bration... starting January 25th, every $60 you spend, you earn an exclusive, limited edition stamp set! It's awesome! Contact me for a free brochure! Also, if you've EVER thought about becoming a demonstrator... sale-a-bration is the time to do so! I love being a demonstrator... you get to meet new people, create your own hours and schedule, and work as little or as much as you want. I can't believe all of the free stuff I've gotten from being a demo, either... it has blessed me so much! When you sign up, the starter kit, that is ALREADY an incredible deal (only $215 normally... which includes $375 worth of product) is 15% off during sale-a-bration... great deal, I know... but there's more! You ALSO get an additional $60 worth of product for free! Whoo! Did you also know that you can personally customize your standard kit? 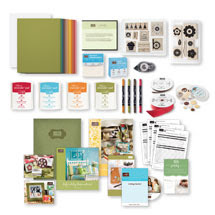 • Stampin’ Mist® (OR StazOn® Cleaner) business supplies • Catalogues, business forms, and other printed materials to get your business off to a great start! 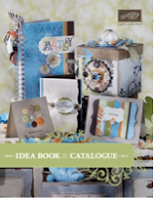 You can even substitute certain stamp sets and colors to your specifications! Contact me at yummy_starbucks@yahoo.ca to take advantage of this awesome time to sign up and join my team! As a personal gift from me, the first person to take advantage of this awesome opportunity will get a free sale-a-bration set from me as a thank you for joining my team!